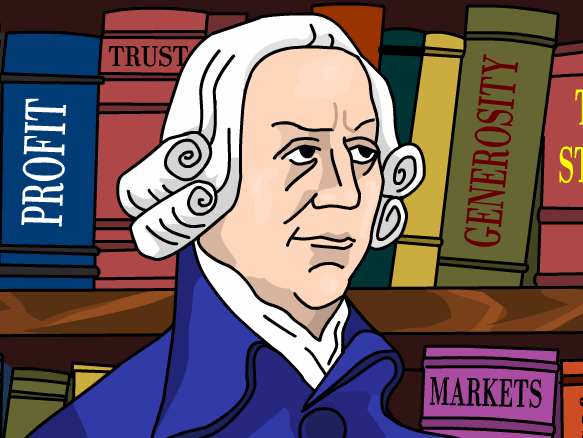 Adam Smith has become such an icon that few venture to shatter the simplistic version of his ideas (outside of academia) known to most Americans. Few who hold this vision dear have actually read Smith’s Wealth of Nations, and if they have they read it from a modern perspective outside of the context in which Smith wrote it. And as a result, they misunderstand Smith’s ideas and his goals. When it is read in context and with his other great work The Theory of Moral Sentiments, a different narrative emerges. David Lay Williams, in his article at Bloomberg View, explains some of the challenges to the dominate theory of Smith’s capitalism (self-interest, lassie-fare, the invisible hand, etc.) when the complexities of Smith’s worldview are factored in. In this article, Williams focuses mainly on Smith’s concerns about inequality. What does Williams hope to accomplish by looking back on Adam Smith’s philosophy?